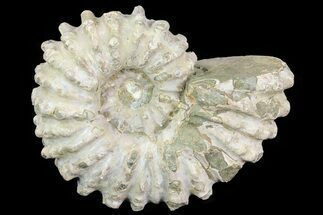 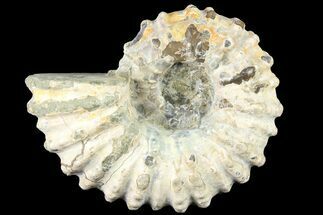 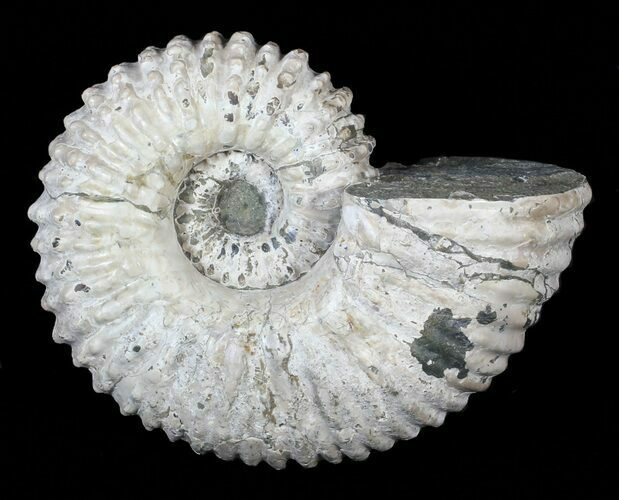 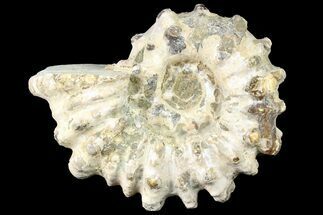 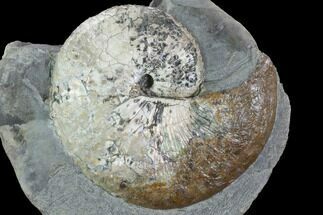 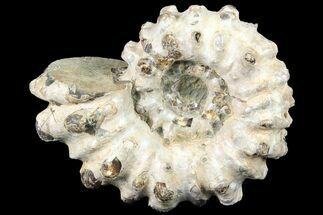 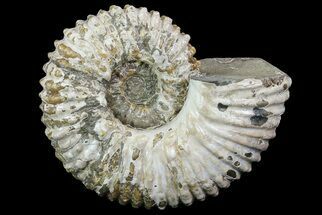 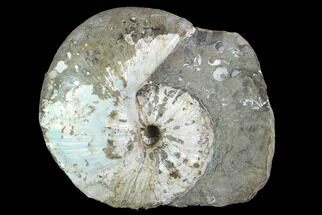 This is a nice, 7.9" wide Douvilleiceras ammonite from the Upper Cretaceous of Madagascar. 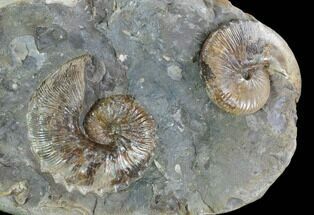 This genus of ammonites has earned the local name "Tractor Ammonites", due to their distinctively bumpy surface and pronounced ridges making them resemble a tractor tire. 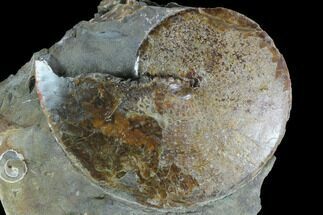 This particular example has been nicely prepared to remove the hard rock and expose the shell.